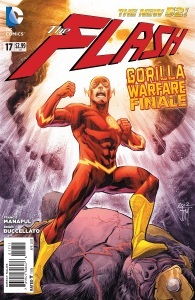 The Flash #17 gives us the conclusion of “Gorilla Warfare”, wrapping up several story threads while launching us headlong into new and uncharted waters for the New52 Barry Allen. Gorilla Grodd has proven to be a more than able opponent for the Flash, who has needed the help of his Rogues Gallery just to stay on even footing…up to now. This entry was posted in Reviews and tagged Barry Allen, Dr. Elias, Gorilla Grodd, gorilla warfare, Iris West, Patty Spivot, Reverse Flash, Rogues on February 27, 2013 by Ed Garrett. In addition to the climactic showdown between Flash and Grodd for Central City and the Speed Force, today’s Flash #17 gave readers the first look at the new Reverse-Flash! Speculation on the villain’s new identity has been rampant since the announcement that there would be an all-new Reverse-Flash for the New 52. 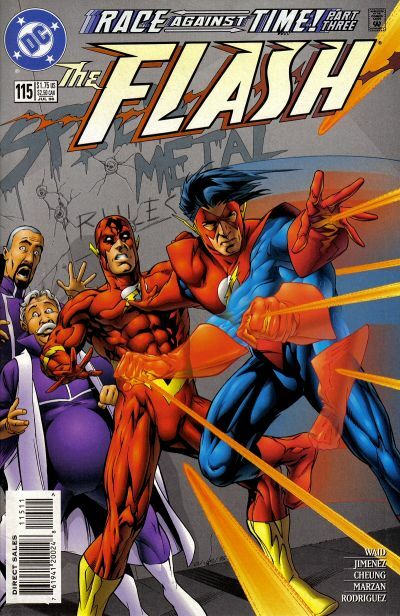 Kelson presented an analysis of the possibilities and guest writer Scott Timms made the case for erstwhile Flash Wally West as the new opposite number for Barry Allen’s heroic identity. 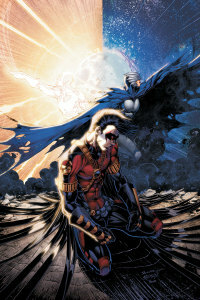 While the identity remains a mystery, today’s issue provided the first look and at least answered a couple of the up-front questions. Follow the jump for the reveal! Beware, SPOILERS for FLASH #17’s reveal of the new REVERSE-FLASH are after the jump. You’ve been warned! This entry was posted in Flash News, Out This Week and tagged gorilla warfare, New 52, Reverse Flash on February 27, 2013 by Greg Elias. I am a simple man, and there are two things I love in life. This exhaustive list includes the following: 1) video games and 2) the Flash. If you understand these two Flash-facts about me, you pretty much know me as well as any human being can know another in one lifetime. 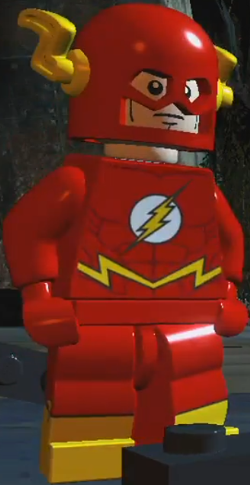 Pictured above: The Lego Flash in 2012’s Lego Batman 2, the apotheosis of everything I ever wanted in a video game. And no, I’m not writing this blog post from an elementary school computer lab. Aside from some obscure handheld games, the Flash is just not a titular character in gaming. He probably had his chance with his TV series to hit the big-time, but our beloved Scarlet Speedster’s show was defeated by the combined might of The Simpsons and The Cosby Show, a veritable Rogues Gallery of television. And thus the doors to true mainstream appeal in movies and games, widespread as love of Batman and Spider-Man, were probably shut for a while. From this long forgotten time, which archaeologists sometimes refer to as the 90s, we got some strange Flash releases. Why anybody thought handheld platforms were the ideal way to show off the Flash’s super-speed, I have no idea, but we were gifted with two handheld releases: The Flash on Game Boy in 1991 and The Flash on the Sega Master System in 1993, two years after the TV series was cancelled oddly enough. In my opinion, the Flash’s solo adventures, which are all about multi-tasking and fighting the combined might of many different Rogues at once through the gift of super-speed, just aren’t captured through handheld and the limitations of a B&W Game Boy. You can’t accurately simulate fighting an illusion conjuring madman, a wizard from the future, and a mind-controlling gorilla all at the same time in such a little screen. Anything less than that, and you’ve just got a generic platformer/brawler, and that tiny sprite with the winged mask might as well be Captain America. Pictured above: The Flash on Game Boy. Just not scratching the itch for some reason. If you watch footage from these games on YouTube, emulate them, or track them down in a garage sale, a very clear principle reveals itself within seconds: the Flash and 2D platforming do not mix. To run at super-speed, it seems, you need to see more than 5-feet in front of yourself at all times, a luxury a handheld screen will not afford you. Because these vision-impaired Flashes are constantly struggling against this primitive camera, they run into a pit, a spike, or a flame trap every step they take. Additionally, why is the Flash’s super-speed limited to movement? Why does the Flash have to stop and duck to dodge a bullet? Why does he have to use trampolines to reach the tops of building when he could just run up their sides? When he runs full speed into a generic thug, why does the Flash stop like he hit a wall? Why are the Flash’s punches weaker and slower than Batmans? Why isn’t the slightest contact with the Fastest Man Alive causing these mere mortals to explode in pixelated messes of gore?! I could go on forever. Pictured above: Artist’s rendition of playing as the Flash on the Sega Master System. Perhaps as a result of these poor showings, the Flash is relegated to auxiliary roles in Justice League games today. For instance, he’s a playable character in Justice League Heroes on Xbox and PS2, Justice League: Earth’s Final Defense on Google Play and iTunes, and Lego Batman 2 on PS3 and Xbox360. 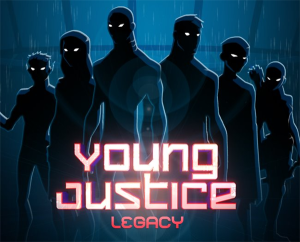 All of these require some work on the part of the player, however, in order to unlock him. It’s neat that the Flash is a “reward” in and of himself, I suppose. I still wish he got more solo exposure though. 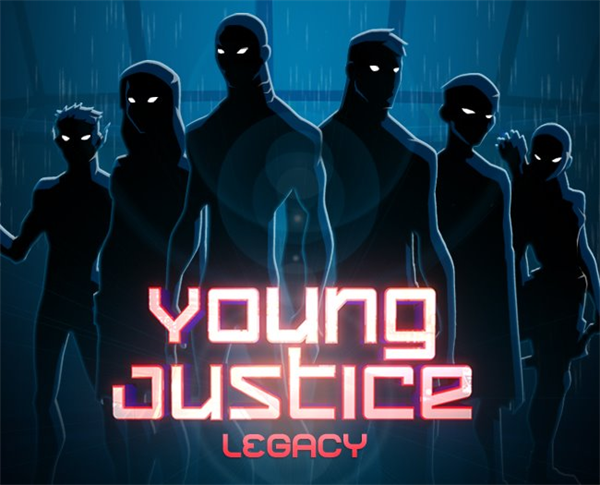 His last solo appearance, in which he gets second billing even in his own title (Justice League Heroes: The Flash) was met with mixed critical response, and was probably the last we’ll see of him as the star of his own game. But you know what? That’s okay. If you’re a Flash fan, you’re probably used to being a “niche” fan. You’re probably used to going out of your way to find Flash appearances, Flash comics, Flash merchandise, etc. The most illusive, and most rewarding, Flash appearance in my opinion is when he’s programmed well in a video game. In the coming weeks, I hope to walk through some appearances of the Flash in gaming, done well and not so well. 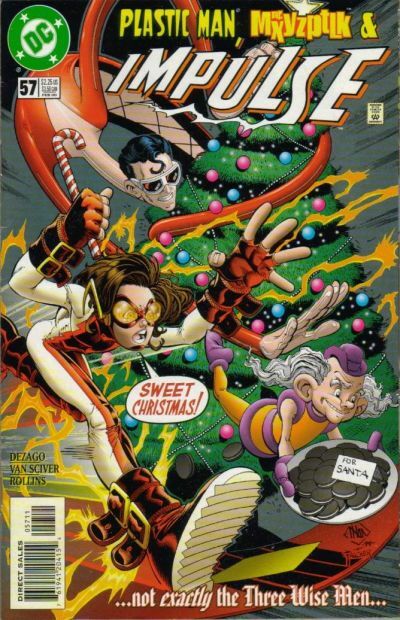 For my first Flash Pro-Tip, I leave you with this: stay away from the Flash titles in the 90’s. The Flash, like we learned from Spider-Man and Batman’s successes in games, belongs in the Third Dimension. ABOUT THE AUTHOR: Colin Crebs is a third-year law student at S.J. Quinney College of Law in Salt Lake City, Utah. He was born with a SNES controller in his hands. Contact with questions and comments at colin.crebs@law.utah.edu. This entry was posted in Media and tagged Game Boy, Guest Posts, Lego Batman 2: DC Superheroes, nintendo, Sega Master System, Video Games on February 25, 2013 by Guest Blogger.